1. Outlander - Guys, I watched the sneak preview of episode one and I must say, I loved it, which is a rarity when it comes to my favorite books hitting the big screen or in this case, my TV screen. I thought the cinematography was beautiful (Scotland! ), the casting is perfection, and the music is spot on. So far I am smitten. I thought composer Bear McCreary really captured the magic of this novel with his opening credits. I adore it and the song, an adaption of a Scottish folksong, is hauntingly beautiful sung by Raya Yarbrough, Bear's wife. What do you guys think? 2. Veranda Starbucks Coffee - I have loved this coffee for about a year now. It's my favorite Starbucks coffee hands down, except for the Pumpkin Spice Latte, which I have been jonesing for since the weather has been more fall-like around here than summer. But don't get me started on that. I am pretty much addicted to this blend; it's perfect for summer. 3. Death Comes to Pemberley - I just heard that this mini-series will be coming to PBS this October. Have any of you read the book by P.D. James? I love all things Austen, so I am pretty intrigued. Plus, who doesn't love a good mystery around Halloween? 4. 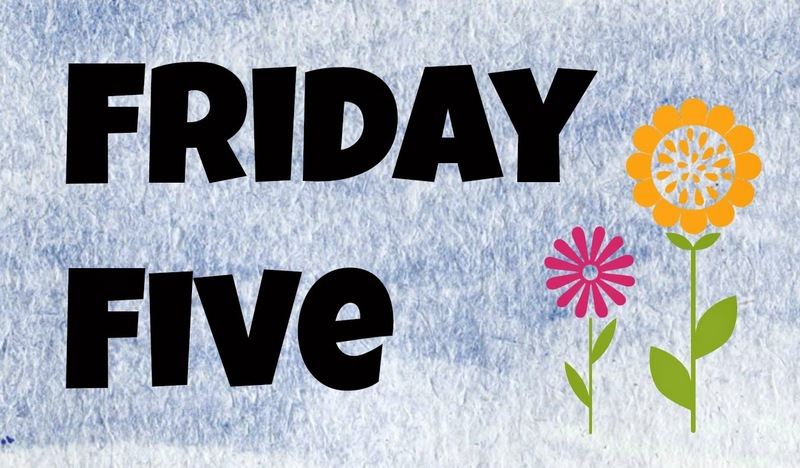 Pinterest Board - I created a new Pinterest board to list my favorite books of the year. Check it out here and let me know some of your favorites. 5. 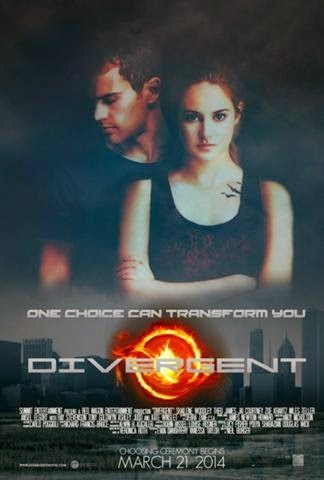 Divergent movie- I wasn't able to get to the movie theater to see this, but am hoping to rent it soon. What did you guys think of it? I've read some mixed reviews. I am hoping that it doesn't disappoint. Let me know your thoughts! I started watching the first episode of Outlander but I didn't get to finish it yet. I think the actors are perfect for their parts but I think that people who watch without having read the book might find the first episode to drag a little until Claire goes through the stones. Hopefully newcomers will give the show a chance and there are probably enough Outlander fans already out there to support it. I am excited about Death Comes to Pemberley. I never read the book but I've heard good things about the miniseries. I rented Divergent but haven't finished watching it yet. So far I like it but it isn't as good as The Hunger Games. I thought I wouldn't be able to stand Theo James as Four but so far he isn't bad. I think the new comers will give Outlander a chance (at least I hope so!) because I feel like once things really pick up in the show, it's definitely edge of your seat. I am excited for Pemberley too--perfect for Halloween! :) Thanks for visiting, Christina! I'm so excited to watch Outlander. I haven't watched the first episode yet, but the trailer itself was enough to make me curious. I haven't read Death Comes to Pemberley but that looks like an awesome mini-series. Also, is that Matthew Goode? Love him! I haven't watched Divergent either, but I'm going to have to get the DVD sometime. I'm not particularly excited to watch it for some reason though. I hope you enjoy Outlander, Nick! I thought it was a great adaption so far and have high hopes for the season. 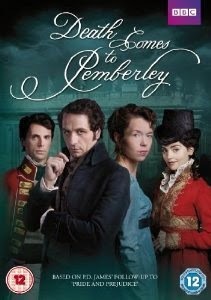 I am excited for Pemberley too- I love a good mystery and I hear it's a fantastic mini-series. Thanks for visiting and I hope you have a great weekend, too! I can't wait for Death Comes to Pemberley. Me either, Juju! I think it will be great…definitely intrigued by the book now too! Thanks for visiting! All of the Outlander buzz makes me wish I had Starz...I might have to settle for getting a copy of the book instead! I liked the Divergent movie! I couldn't hear a few parts (thank you, giggling / talking / shrieking teenage girls), but many of the actors seemed great. I don't think it was a perfect adaptation, but it was better and far more enjoyable than I expected.